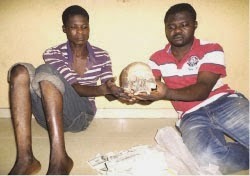 The police in Ondo have frustrated the plans of two men of the night after arresting them with a human skull. The suspects were heading to an unknown destination when they were apprehended. The skull was reportedly discovered inside a black bag during a routine stop and search exercise along Ibillo-Isua Expressway in the Akoko South-East Local Government Area of the state. 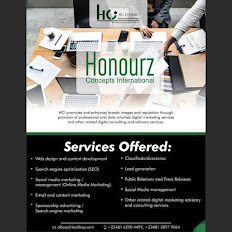 The arrest and discovery was confirmed by the state Police Commissioner, Isaac Eke. Also, four armed robbers met their death in an auto crash after attacking a team of policemen, while on patrol on the Idanre Road in Akure metropolis. Police Commissioner in the state, Isaac Eke said the four armed robbers were the killers of two policemen at a road block in Akure last month. It was gathered that after the robbery, information reached the policemen attached to the ‘B’ Division of the state Police Command, who gave them a hot chase. Their get-away vehicle, a white Hilux Vehicle marked 11/ 260 FG said to have been snatched at Ifon area of the state, crashed into a church fence and the four of them died on the spot. Items recovered from them include two AK-47 rifles belonging to Okuta Elerinla Police Division said to have been carted away from the two deceased Policemen they shot dead in the state last month. Also recovered were 126 live ammunition, three magazines, N160,120, two number plates (Edo State), 21 handsets, a substance suspected to be dynamite and charms. Speaking on the suspected ritualists, the police chief said policemen, while on stop-and-search duty on Ibilo-Isua Expressway, intercepted the suspects, who wrapped the human skull in a black polythene bag.